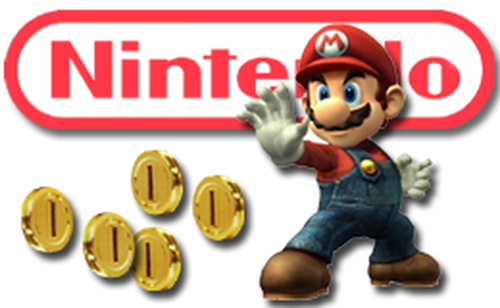 Welcome to my concluding piece on the state of Nintendo for 2015, and Happy PAX East 2015 to those who went! Sorry this was a little delayed; the real world and absurd snowfalls have had a habit recently of interfering with my blogging abilities. But, here we are at last, ready to draw some conclusions and make some wild prognostications based on everyone's (read; my) favorite game maker. If you've missed, or just want to review, any of the earlier parts of this series, check them out first. As a brief recap; Nintendo game software looked like a strong lineup for 2015, the hardware had some interesting points of contention, and the services looked to be more than a bit of a mess. I want to take a look at the moment and see how this compares to the past. This has to be one of the stronger Nintendo lineups in a few years. 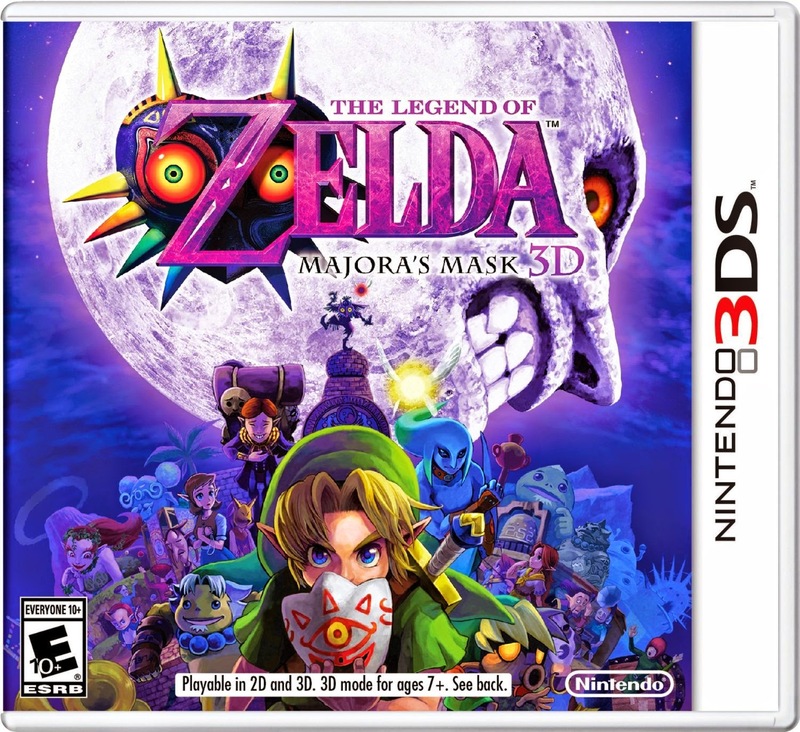 Majora's Mask seems to be selling well, if the seemingly absurd demand for the special edition hardware is any indication. We also have just a few short months before Splatoon, Mighty No. 9, and the Japanese release of Xenoblade Chronicles X. While this lineup appears to be firing on all cylinders, which we won't really know about until E3, it does seem to point to a very large software shaped hole for 2016. Nintendo has a habit of releasing a ton of games all at once, or at least in short supply, and then having nothing on its plate for an extended period. Of course, with finite resources, many of them under the direction of a guy named Minamoto, it makes real continuous development somewhat impossible. I'm concerned that Nintendo will finally start to get people's attention, only to then immediately run into a situation where there's not much on the immediate horizon. This "feast or famine" issue from the first party developers can usually be helped immensely by third parties, a group Nintendo still has shown no major improvements in wooing. Titles are still continuously skipping out on the Wii U, as it simply can't hold a candle to it's higher powered rivals. Of course, as I mentioned in part one, I do think it is likely that some of the anticipated 2015 titles will slip and see a calendar 2016 release date. Even then, I wouldn't be totally shocked if I'm giving the 2016 State of Nintendo post and wondering what games they might have in the works. We know there have to be plans for another 3D Mario title. We know Retro Studios, of Metroid Prime and the recent Donkey Kong Country games, have been up to something. We know none of Nintendo's internal design teams have been sitting on their thumbs waiting for someone to tell them to make a game. But like some other companies, Nintendo likes to tinker. They seem to encourage their programmers to try things out and follow something if there's a chance something fun could come of it. So instead of focusing on titles they know will be made, there's time spent just experimenting with concepts that may never work. And while that can often lead to some amazing and unexpected experiences, it also means that sometimes a lot of time and effort can be spent going nowhere. I think I made my feelings on hardware pretty clear in part two, but to recap; I don't see Nintendo making games for other platforms any time soon, and I think they have to feel pretty good about their own hardware. My friend jokes that any time Nintendo puts the words "Limited Edition" or "Legend of Zelda" on any console, that console immediately sells out forever, and while that isn't entirely true 0 the Wind Waker HD version of the Wii U was on store shelves for a very long time -there's definitely a nugget of accuracy to that statement. 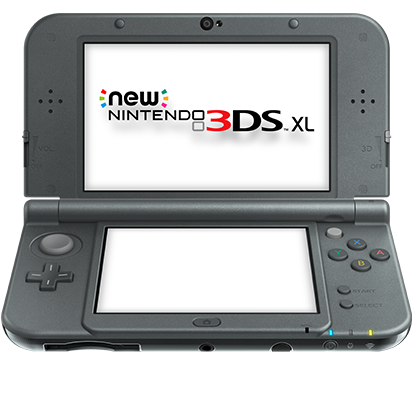 That having been said, I'm not sure there will be a revamp to the Wii U the way there was on the (still horribly named) New Nintendo 3DS XL. I think everyone, even the executives at Nintendo, would agree that among the Wii U's problems, marketing played a big part. By picking a name that was so close to the previous console, Nintendo had a hard time convincing people that this was actually a new game system, and not just a dinky peripheral for the old one. A close friend of mine, who is a pretty invested gamer and Nintendo fan, remarked to me off the cuff one day that he hadn't been aware that the Wii U game pad was able to play games without the use of a TV. This was sometime in the spring of 2013, so the system had been out for about six months at this point. Nintendo clearly failed to make sure its target audience got the message, if someone like him who spends time on gaming sites hadn't been able to really see what the Wii U could do. A better strategy for them might be to just cut their losses. Any engineering or R&D resources that would have gone into a redesign or update would be best served going towards the next platform. Nintendo has not always been the company in recent years to release redesigned versions of it's home consoles. True, the Wii did get two changed versions (Family Edition and Mini), but that is nothing compared to the number of SKUs of Xbox and Playstation models that have hit store shelves in recent years. By contrast, the N64 got some new shells, but very little in the way of hardware changes (discounting the one that led to the infamous "Stop N Swap" incident between Banjo-Kazooie and Banjo-Tooie), and the Gamecube only came in newer colors. I think at this point Nintendo should just accept that the hardware they have is the hardware they'll keep, and move on. Maybe marketing can use that extra cash to hire someone who actually comes up with good names. This is the area where Nintendo has both made the most progress, and yet still has the most work yet to do. I don't think anyone will say that shopping Nintendo's digital storefront is their favorite experience, but they are getting a lot better. I counted steps to re-download something I already owned on the 3DS and compared that to the PS3 or Xbox 360; the number of steps were reasonably the same. And, as an added bonus, unlike Sony's PS3 shop experience, the whole ordeal isn't full of incredible lag. The biggest problem isn't that this is an unusable storefront; that would actually be better in some ways. No, the biggest issue is that this is actually a serviceable way to buy games. That's bad because then it feeds into the idea that it's 'good enough'. "It works" is enough of a reason to not change things for some people, and I get the sense that Nintendo only compares the shop experience to this low standard, as opposed to the higher bars set by its competitors. If the decision makers at Nintendo used the other systems, they'd see in comparison why people hate their experience. That might be enough to get them to fix things. Might. On the plus side, the replacement program for Club Nintendo has me cautiously optimistic. A friend thinks it'll be a cheap excuse for Nintendo to switch to digital only rewards, but with the Amiibo craze, I'm unconvinced. What better way for Nintendo to hype up their newly budding collectibles business than by offering limited edition or exclusive models to only their most loyal of purchasers? Then again, going all digital has to be cheaper, so there's a distinct possibility he is right. Time will tell I guess. In the meantime, we can all look forward to some great new content at Nintendo, as well as a bit of fun speculating what crazy ideas they'll have for their next hardware. Let's hope the actual 2015 is as great as Nintendo thinks it will be! !